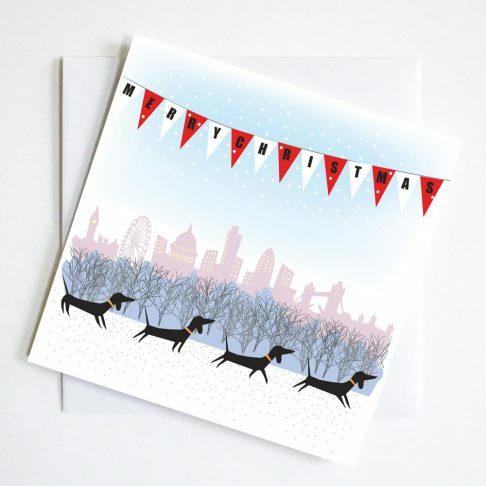 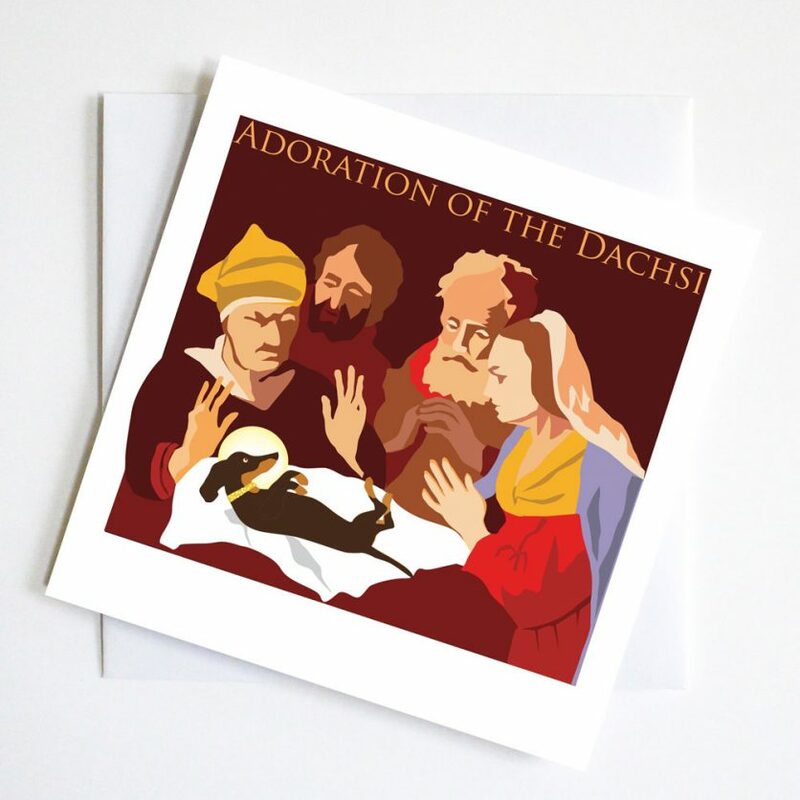 Arty christmas card for any dachshund lover which pays homage to the Adoration scene. 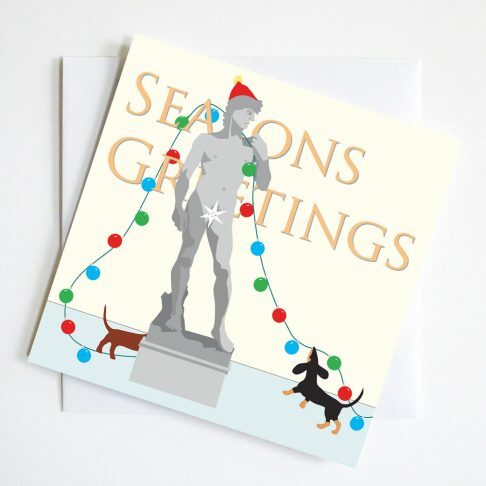 A well loved seasonal scene with a humorous twist. 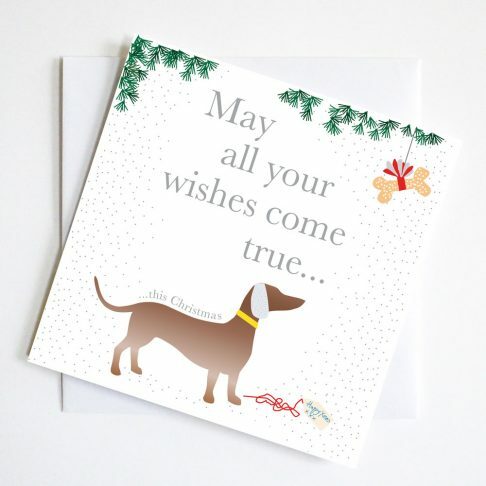 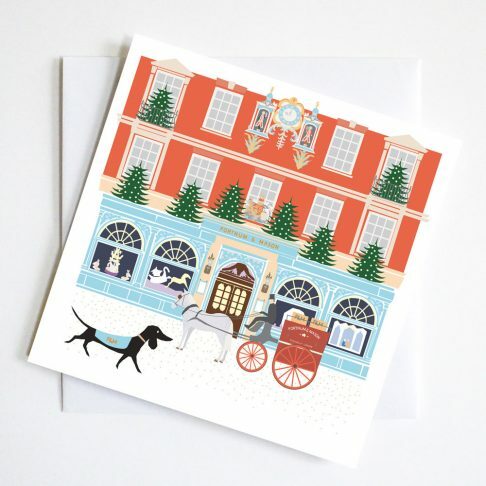 The Adoration of the Dachsi makes a perfect card to send to dachshund lovers and art lovers alike.